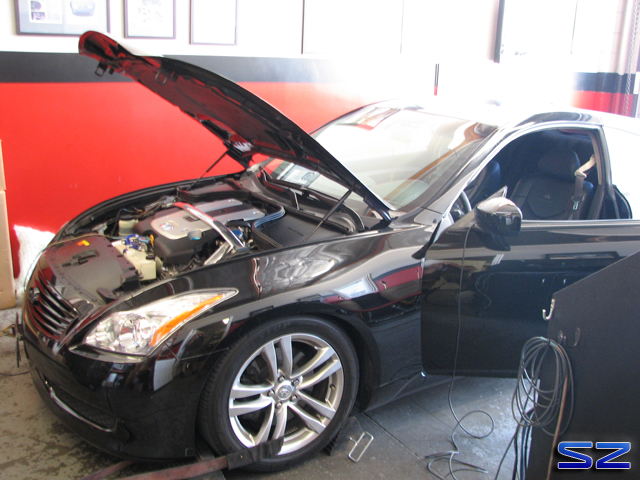 Last month Avo brought in his G37 AT Coupe for tuning. His G has the Stillen Gen 3 CAI, and Fast Intentions exhaust system. There was some definite “leanness” commonly found with some intake systems. The “before” and “after” graph. Red is before and blue is after. Sorry for the lack of updates to those who keep up with my posts. It’s been busy over here and dealing with personal matters leave hardly any time for our blog. I am way behind and have lots of stuff to share from the last month or two. 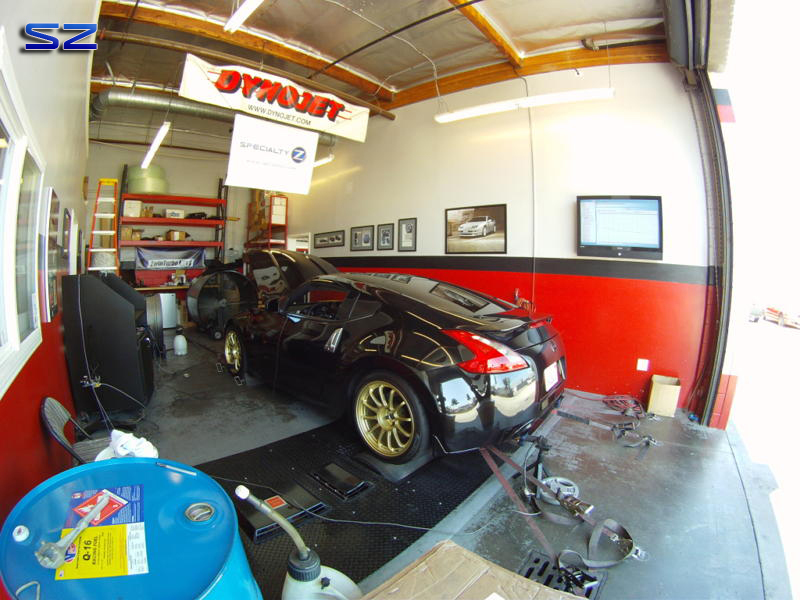 To keep it funky fresh we dynoed Javier’s Z32 TT a couple months ago. It was a pleasure to meet him and his family. Javier is a Floridian who made the move over to non-humid SoCal. I am not a fan of that Florida weather, sorry dad. 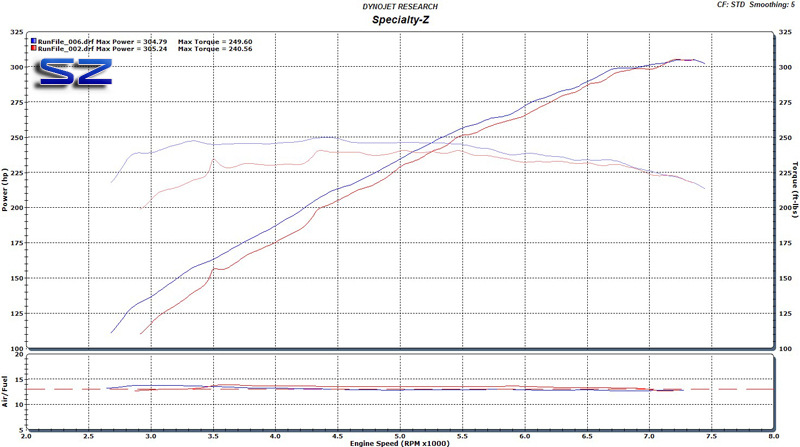 My long time friend had his Straman upgraded with larger turbos (2560Rs) a few months ago and after installing the Selin Dual POP kit we went to work on tuning his beast. 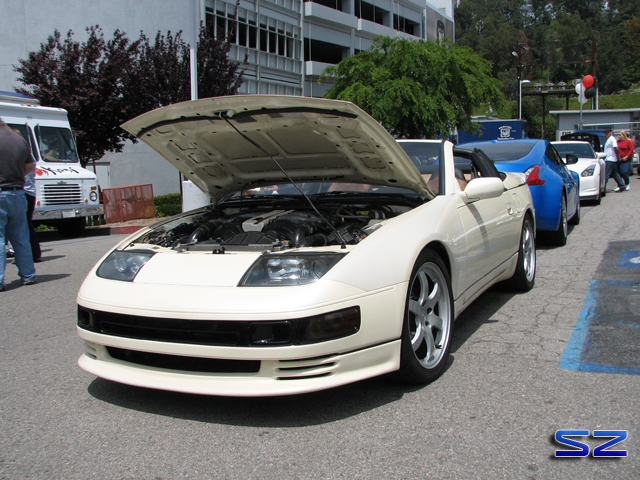 Some may not know but Straman was a company in SoCal that took cars not offered in covertible versions from the OEMs and made them convertibles. 1990 seems to be the only year Straman rendered their services on the Z32 TT. Hydraulic actuated top and some very good bracing make this a Z32 TT feel better than the OEM Verts. 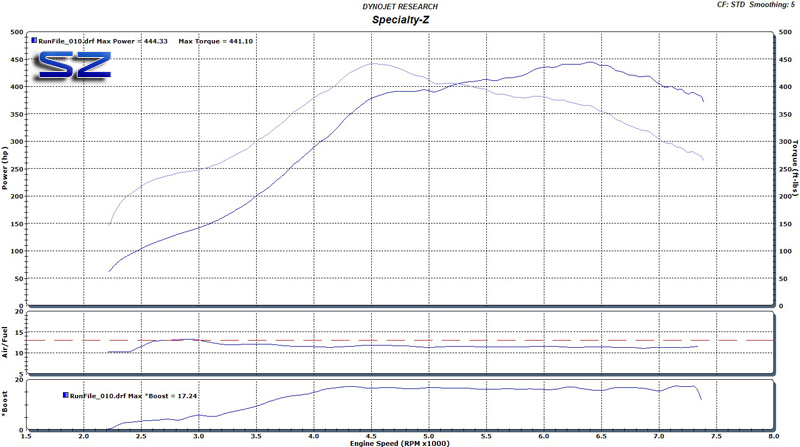 Peak boost hits by 4400 RPM (17 psi) and tapers down to 16-15 psi the rest of the way. 444whp and matching torque. Stay tuned for 100 & Q results! Making a run down the 1320. Rudy brought in his Z34 for some tweaking on our Dyno. Mods include SSR wheels, K&N Typhoon Intake System, HKS Hi-Power Catback, Kinetix HFCs, and Stillen Engine Oil Cooler. His K&N intake didn’t pose any lean running condition associated with some intakes. 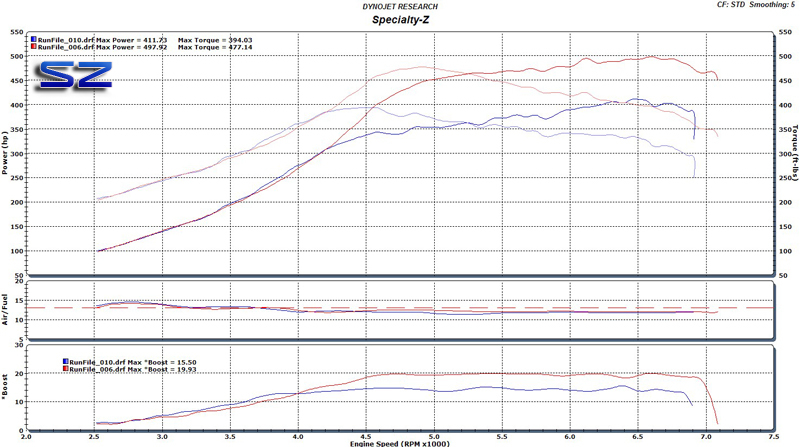 A nice average of 9 to 10 whp across the board after the tune.